Of course, every business hopes no refund is ever requested, but sometimes they do happen. At PayStand, we help as much as we can. 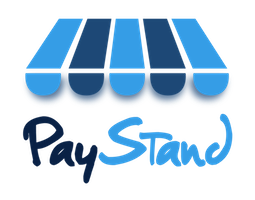 First and foremost, it's important to remember that while PayStand is the platform transactions occur on, we do not have access to credit cards, bank accounts, or inventory. We are therefore limited in our power to issues refunds or expedite purchase delivery. Nevertheless, we help as much as we can. Neither businesses nor customers want to be held hostage by disputes, so our policy is to help both parties mediate the dispute swiftly and respectfully. As such, it is important that both parties be available during the dispute process. As experience clearly indicates some customers deserve refunds and similarly some businesses are in the right when denying a refund, we place funds on hold while the dispute is occurring to ensure they do not fall into the wrong hands while the right hands are being determined. For any responsible business and any responsible consumer, this may seem a little obvious, but the best defense in any dispute is saved documentation. Save your shipping orders, receipts, emails, invoices, and anything else that demonstrates the transaction was performed appropriately (at least on your side). If a customer contacts us to request a refund, our first steps are both to continue discussion with the customer and to also contact the merchant. If the merchant is unreachable for 5 business days, we have to honor the customer's request (so having correct contact information in your dashboard is very important). It is important to note that PayStand has no influence on banks or credit cards and how they resolve disputes. The best influence for these parties is, again, documentation. Additionally, we have no access to any insurance claim process for items purchased with particular credit cards. Merchants will be happy to know transaction fees are refunded to customers as well, and they are not charged to the merchant.